Scars and spider vines are problems of many women. It isn’t easy to camouflage imperfections with make-up, but there are ways for at least partial cover. And with a bit of skill and good cosmetics, your skin will look beautiful and radiant. Or so called spider vines give unsightly look to face, legs and cleavage. Among many reasons of their stirring, we enumerate: genetic conditioning, hormonal disorder, hypertension, sitting life-style or changing weather conditions. Walls of the blood vessels expand and their permeability increases, what makes it easier for factors causing inflammation and spider vines to pervade. Cracked blood vessels on the face may be the beginning of rosacea, and those on legs of varicose veins. You shouldn’t neglect them and go see the doctor. In a meantime, we will tell you how to cover them with make-up. Before we try to cover those spider vines, we need to tell you some very important rule of make-up artist. We are talking about the colour theory, which stands that to cover red skin changes we need to use opposite colour, in this case green. The best will be concealer in stick or cream. Cracking blood vessels on legs usually have blue or violet shade. We can cover them with pink or peach pigmented concealers. So, when you put on a dress or skirt you will feel pure pleasure. We need to remember that there are many types of scars. They can have different colours, shapes and sizes. Scars appear because of the abnormal healing of the wounds after completed anti-acne treatment or as a result of sunburn. Fortunately, all scars can be hidden underneath good make-up (or brighten and smoother during beauty or dermatological treatment). 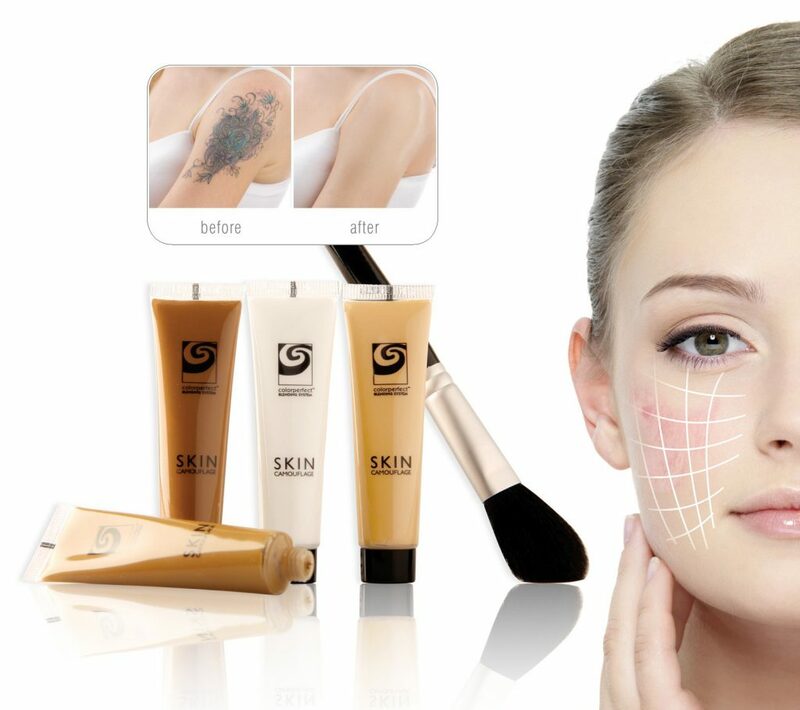 All you need to do is choosing right concealer shade and apply it correctly on the skin. Used product should be one tone brighter then our skin complexion and our foundation. Apply it with a brush or a finger and spread it. Make sure it won’t create spots or the effect might be quite opposite to the one you had in mind.